Carretera Madrid - Irun km. 280, 09240 Briviesca, Spanien. 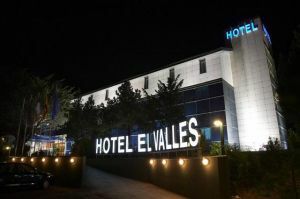 El Valles Hotel is the ideal option to spend your holidays or in business trips in the province of Burgos. 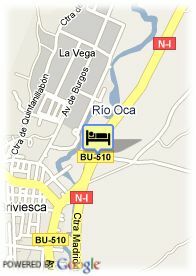 The establishment is situated in Briviesca, dynamic locality between Vitoria and Burgos. It is a complete hotel totally renovated and with perfect facilities which could hold any kind of events and conventions. Its 50 totally exteriors rooms, have air conditioning, PC connection, complete Bathroom, and others. Its five reunion lounges have a capacity until 380 people, including fax, fax projector, slide projector and computer projector, as well as a complete snack-bar service. The gastronomy also is very well cared in the El Valles Hotel. There you can taste a menu which combines the tradition and the last culinary tendencies. Moreover, it includes recipes especially for diabetics and vegetarians. ältere Kinder und Erwachsene: 20.33 € pro zusätzliches Bett.